“The Nebraska Wind and Solar Conference is the place for interested parties including residents, landowners, companies, utilities and outside developers to come together to learn about and understand the opportunities when it comes to Nebraska and renewable energy,” said Adam Herink, Co-Chairman of the conference. He said there are a lot of different sessions but all cover either solar energy or wind energy. This conference usually draws about 400-500 people each year and is extremely accessible. This year’s event takes place Nov. 7 and 8 at the Marriott Cornhusker Hotel in Lincoln. According to Herink, if you want to get to one of the public power employees or leaders, it’s easy to go up to them at the conference and ask questions. There are also Q&A sessions following each panel. He said ultimately, they want to get attendees’ questions answered. 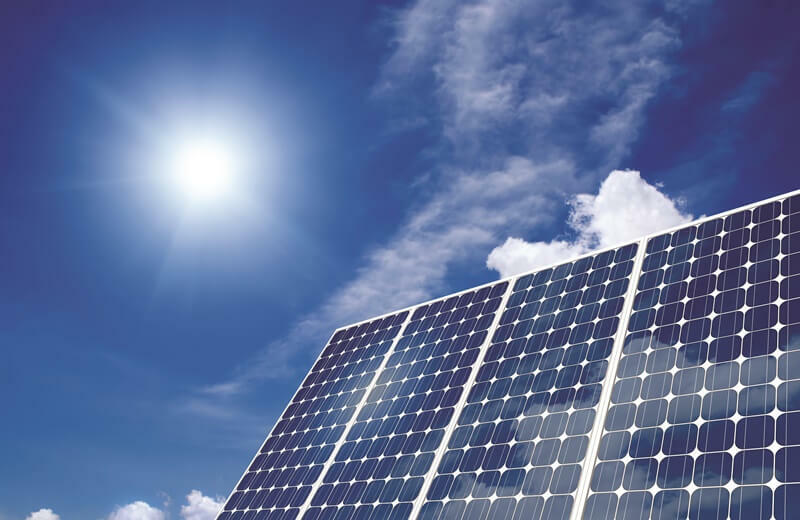 With the growing popularity of renewable energy, Herink said they try to offer something for every level of interest at the conference because this particular topic does cross a large and varied group of people. “Sessions focused on wind energy range from a panel geared toward someone interested in learning about commercial-scale wind energy development on their land, to a panel with county commissioners on wind turbine zoning regulations,” he said. Herink explained on the solar end of things there are different panels centering on residents who want to put solar panels on their homes as well as another aimed at communities that want to develop and create a solar garden for their electric ratepayers. “All of our panels have guest speakers, some are coming from across the country and some are local. Additionally, we have always had great involvement from our public utilities,” said Herink. The CEOs of Omaha Public Power District, Lincoln Electric System and Nebraska Public Power District will all participate in a lunchtime panel during the conference. The utility leaders will discuss renewable energy from a utility’s perspective, talk about how we can continue to integrate renewables into our power mix and how to do that responsibly. “They will give their outlook for the next year about different technologies and sizes of projects they will be looking at along with their efforts over the past year,” Herink explained. For example, Lincoln Electric System has just completed the largest solar installation in the state of Nebraska in a 5-megawatt array. Those are the types of projects the CEOs will be talking about. Developers from Chicago, Colorado and California will also attend the conference and share their ideas and interest in investing in Nebraska through wind and solar energy. “We have always had strong booths at the conference. This year, you will see installers of solar panels, people interested in energy efficiency, engineering companies that can help you design a project and developers looking for interested landowners who want generators on their property,” said Herink. The booths offer a good opportunity to walk through and see the different services and businesses that are out there that can help people install or move one step closer to being a part of wind or solar energy. One tradition the conference is continuing this year is the state senator panel, which Herink said is always interesting. “As we transition into new generation technologies there are some political discussions that need to be happening to make sure we are doing this the right way. So every year we invite interested state senators to have a panel and try to get their perspective on what’s happening in the industry,” Herink said. But that’s only part of the panel, the other part is offering the senators the opportunity to hear from the general public so when they are out looking at different legislation and drafting laws, they are up to speed on this growing industry. An industry Herink said is changing overnight. A big part of what the conference offers is a chance to understand what technologies work best for different groups. For instance, from a commercial scale wind turbine standpoint, Nebraska’s rural areas are set up well for wind development, but as you go into the more urban areas, obviously there are more possibilities for renewables in the form of solar energy. “Technology is much less complicated and more affordable than it used to be. Costs are coming down dramatically and we are seeing more cost-effective equipment. We are also starting to see different companies being created and coming to Nebraska that will help a variety of groups work on and get assorted technologies involved,” said Herink. Understanding what technologies are out there and how each one applies to different individuals or situations is a key focus of the Nebraska Wind and Solar Conference. Interest in the conference and renewable energy continues to grow and that’s a good thing since we are moving into a more carbon-constrained world. Herink explained that means, as a country, the U.S. is looking closer at the effects of carbon and how we use renewable energies to fight that. “Nebraska is the second or third best wind resource in the country. As we move into a more carbon-constrained country, Nebraska really has a competitive advantage and it’s an opportunity for us to help the country transition into a cleaner, less carbon-intensive situation,” he said. According to Herink, having a competitive advantage is something Nebraska needs to look at, identify and see how it can responsibly grow that within the state. For example, he said, the economic development opportunities for rural Nebraska in using production/agriculture land to generate electricity is unprecedented. “Rural Nebraska is having a tough time with commodity markets right now. We are going through an agricultural recession. Generating energy through wind and solar technology can help the rural areas diversify some of their agricultural income,” he said. Herink said all these assets pay property tax and provide true relief because it would mean adding something to the system that can be additionally taxed. He said from a rural standpoint there’s a lot of opportunity for Nebraska to capture some of this investment. And that’s not all, it also helps people in Omaha and Lincoln too because everyone benefits when there is more investment and growth in the state. He said economic development helps us all. “Every year, it seems like a different utility is doing something unique and cutting edge, so we hope these other utilities will come in and see that. We want the public to be informed about the opportunities we have with renewable energy and to see all the good things renewable energy can do in our state,” Herink said. Visit nebraskawindandsolarconference.com for more information.